Drama Teachers! Camp Leaders! 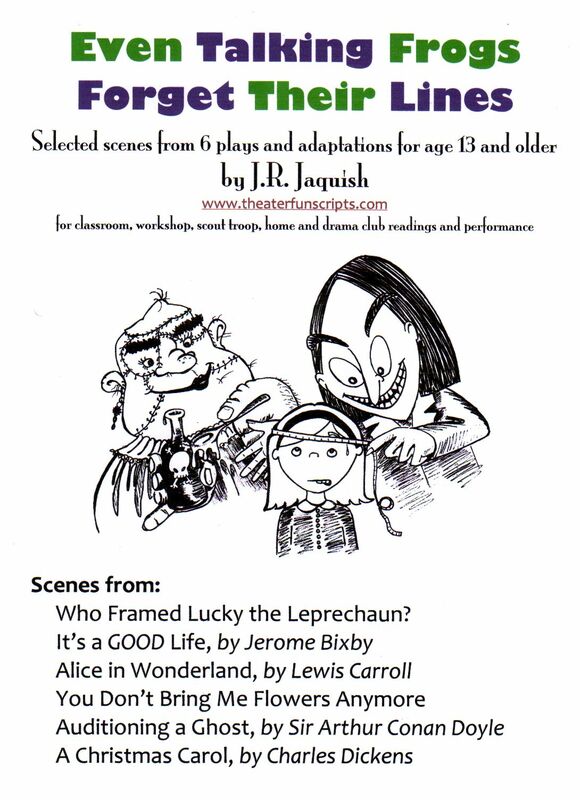 Kids love to read scenes and put on little performances. No royalty fee. Do not alter the scripts. Keep Author name and Copyright info on scripts. Help spread Theater! Pass these on to your friends. Kids love to play characters. Encourage them to be expressive. 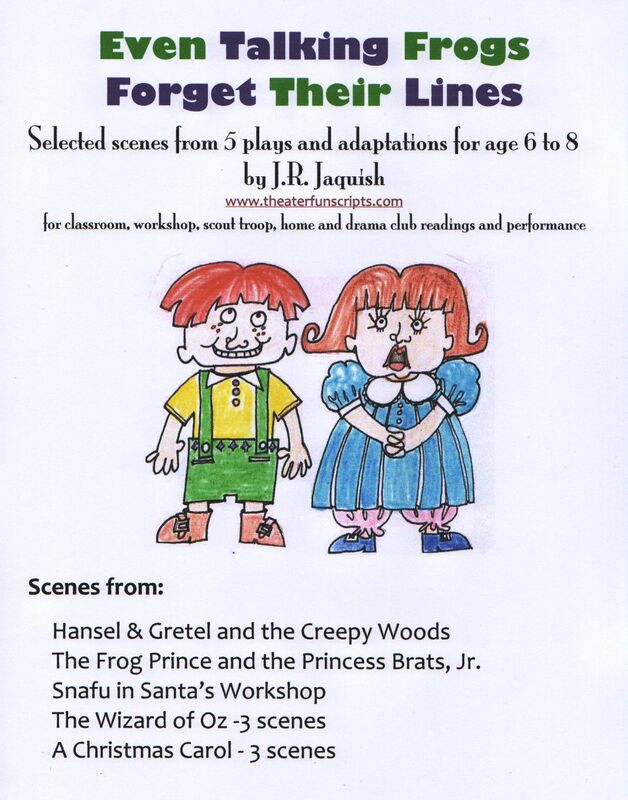 If your kids get the acting bug, return to this website to get the whole script. If you can't download the PDFs, contact J. Jaquish, and she will email it to you. Click on the Book Image you want. Use the BACK button to return to this page. 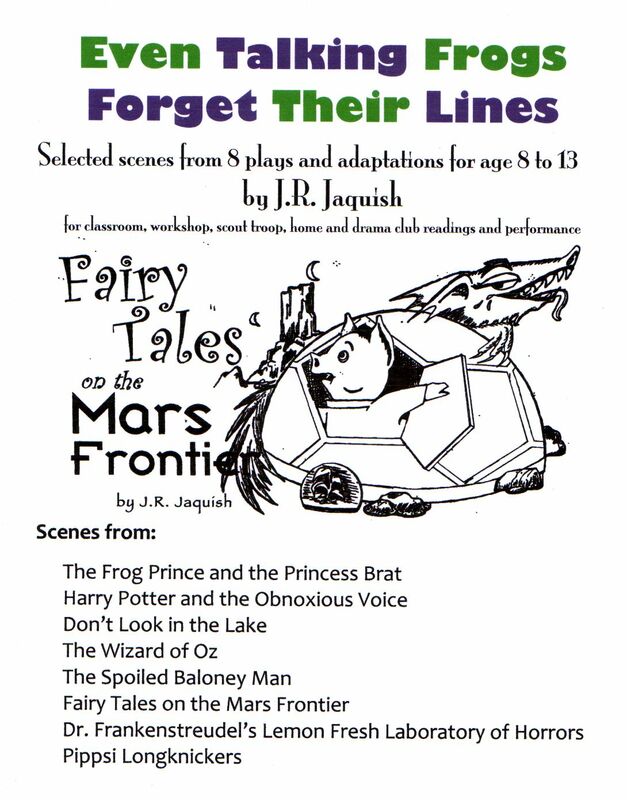 "Even Talking Frogs Forget Their Lines"
For ages 6 to 8, --- 8 to 13, --- and 13 and older. Double-Click on the book you want. on pdf files on one CD ready to print out. 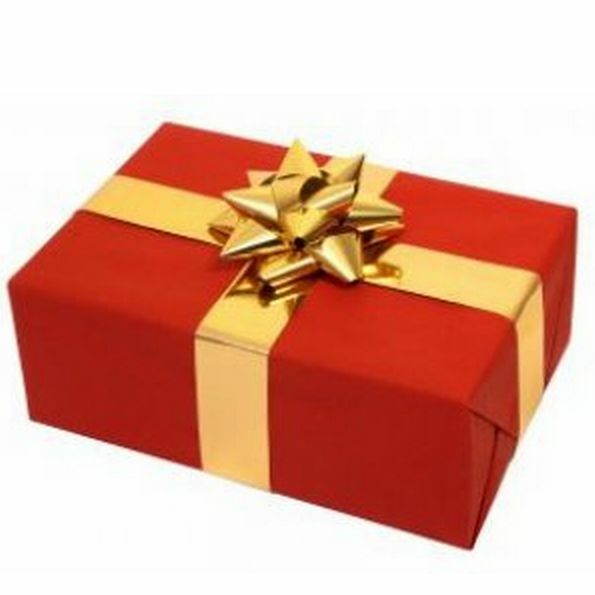 PRICE: $10 each CD in a case; add $3 for gift-wrapped with a note. POSTAGE to the US included and mailed by next day.